The MAGIC RAIN team had the pleasure of interviewing the amazing Chinnie漆尼 during AniManGaki 2018. 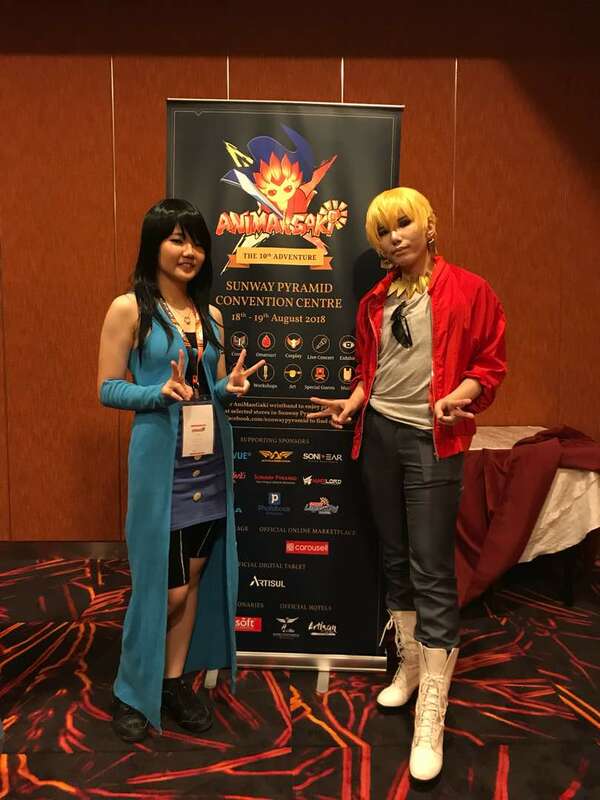 Chinnie漆尼, one of the pride of Malaysian cosplayers has been involved in the ACG and cosplay scene for over 5 to 6 years and was invited not only as a guest but a judge for AniManGaki Cosplay Xth which was held on the 18th and 19th August 2018. Chinnie漆尼 is often praised for her enthusiasm and effort in any cosplay project she’s involved and is not afraid to show the world what she loves best. With her positive aura and is a walking proof that good results shine when you stay determined, it is not a wonder she has been invited as a guest at many local events. Q: What made you start cosplaying and how long have you been into it? A: I was a doujin booth artist and I started cosplaying because I saw my friends who shared the same booth as me cosplay and there was also a lot of other people who cosplayed at the convention too. So, I wanted to try it out too. As for how long, I think I have been cosplaying for 5 to 6 years. Q: What was your first ever cosplay and how was your first cosplay experience like? However everyone replied that they didn’t have any wig cap to lend. So in the end, I had to tie up my hair and put the wig on just like that. It was very loose that way. Q: What was your most memorable experience in cosplaying? A: There are too many experiences for me to choose, but I think it is the feeling that after I finish a costume or an armour and I debut it in an event and it gets appreciated by people or like there were people who recognize my character and say things like, “You did my favourite character!” It is those kind of moments that make cosplay memorable for me. It makes me feel very happy to share the same experience with other people in the community. Q: Out of all the cosplays you’ve already done, which was your favourite cosplay and why? A: Currently, my favourite would be Caster Gilgamesh which I debuted last year in AniManGaki. This is because I spent a lot of time on it and learned a lot of new skills, for example, learning how to make his armour, his clothes and also learning how to open bind and making sure it stays up for like 5 hours of the event. So yeah, it is currently my favourite costume. Q: What was the most difficult part when making armour costumes? A: I’m still a newbie compared to other senior cosplayers but I think it is the drafting part because you have to make it fitting to your body. After that it was just to finish cutting and add finishing touches. To be honest, I quite like the fitting part. Q: Any cosplays that you ever come across that inspired you and made you stepped up your game? A: I have seen quite a lot of armour cosplays around. I have seen a Reinhardt cosplay in Singapore and I would quite like to try those kind of armour one day. But I’m actually more of a clothes, photoshopping and editing person. However, I did a Caster Gilgamesh cosplay last year and it was my first try making armour by myself, so I’m like I need to give and take, trying this and that. Of course there are a lot of online cosplays that made me go “Wow, their makeup is very nice that I would like to try while adding in some personal touch to improve myself”. Q: What is your opinion on cosplayers who buy their costumes from Taobao or commissioning them versus doing it themselves? A: I think it is okay to commission costumes from someone else as long as it is not used during competitions. 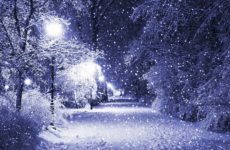 It is because everyone has their own life to keep up, their jobs; maybe they do not have the free time to make their costumes or maybe they do not know how to make it and they are still learning. But to me, it is the same if cosplayers want to commission their costume or if cosplayers want to make their own costume on their own free time. It is all okay. I wouldn’t judge people if they bought their cosplay on online stores like Taobao or if they made their own costume. 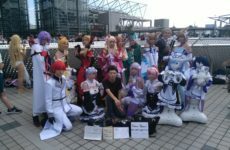 Q: Would you say that making your own costume is a good way to get started in the cosplay community or would it better for someone to start by buying their costume from Taobao or commissioning them? A: I think you can start by buying a costume from Taobao or other commissioning places. You can also make your cosplay that is a simpler costume to start with. It is your choice on which one you would prefer or want to pursue. Q: Do you take any other cosplayers as your role model? A: I look up to people who make their own costumes like for locally say Fujiwara Kazuko and Weon Haur, and internationally Lenneth from America. Q: I am informed that you have two Facebook cosplay pages, one for male cosplays – Chinnie漆尼＊ and one for female cosplays – Eden吃饭不洗碗. Why do you feel the need to split them? A: I split the two accounts because I think it would be better to concentrate on one gender for each page. I feel it would be a bit messy if I just dump everything together. So, for those who just want to see my female cosplays, they can go over there. It is kind of like a sub-company of some sorts if you think about it. It is like durian and maybe an apple. There are people who do not like durian but love apples. However, because of the durian they stay away from the apple altogether. Also, when they see my female cosplays they might think, “This girl must be a trap.” because my profile picture is a guy. So, to avoid these kind of situations that makes me uncomfortable, I split them into two accounts. I have been thinking about this for quite a few years. Q: What are some of the best things you’ve learned ever since you started cosplaying? A: I think cosplay helps me a lot in attitude and confidence because before I started cosplaying, I was an artist. All I did was draw at home and I didn’t really socialize much and it was really awkward for me to talk to other people outside my circle of friends. But ever since I started cosplaying, I got to know other cosplayers, go for photoshoots and slowly I became more confident with myself. I could see myself coming out to interact with people and stand on stage more, so I think it really helps a lot. Q: For new cosplayers, do you think they should start out with a popular character to get started? A: I would say you should pick the character that you know and like the most. Personally, there were people who asked me to do some of the characters that I do not know although it is a popular character, but I didn’t do it because I feel like if I do not like the character then I wouldn’t put it much effort into the character’s cosplay. Furthermore, when I present the character, others can easily tell whether I am into the character or not. So, I feel you should choose a character you like and have fun with it. Q: There are cases whereby people shame certain cosplayers due to their body size and skin colour that does not suit the character, so what is your opinion about this? A: In terms of blackfacing, Malaysia is a multi-racial country so I don’t think it can be avoided. I have some friends who do not have light skin colour but they will put in effort to wear skin colour tights or put on extra white make up, but if you can’t it is also okay. 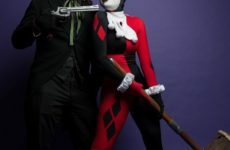 You can choose to cosplay characters that have darker skin or if you like lighter skin characters, then you can cosplay that too because cosplay is all about fun. If people shame you or anything, that is their own problem. We shouldn’t put our own perceptions on someone else. Q: In what ways do u think the cosplay scene in this region could be improved? A: Since I have been to other countries and have seen some of their events, in terms of booths they have different sections for them. For example, they split the doujin booth and the cosplayers’ booths. I know the cosplayer market locally is still expanding but I believe we will reach a point where we will have to split doujin and cosplayer’s booth, so that it is more centralized. My doujin friends have also complained that cosplayers always flock and block their booths. I think we should do the booth separation somehow and somewhere, and of course keep a positive mindset in everything. Q: Lastly, what advice do you have to give to young and inspiring cosplayers who just entered the cosplay community? A: You just need to relax and have fun. Cosplay is just like any other hobby; as long as you enjoy it, you are happy with it, that is good! With that, we’d like to thank Chinnie漆尼 for the interview! We wish her all the best in her future endeavours and hope to see her positive aura spread among us. Previous Post Prepare Your Pens: The 2018 Inktober Prompt List Is Out! Next PostThe Japanese Film Festival Is Back – For The 15th Year In A Row! Your Guide to Comiket: Photographer Edition!